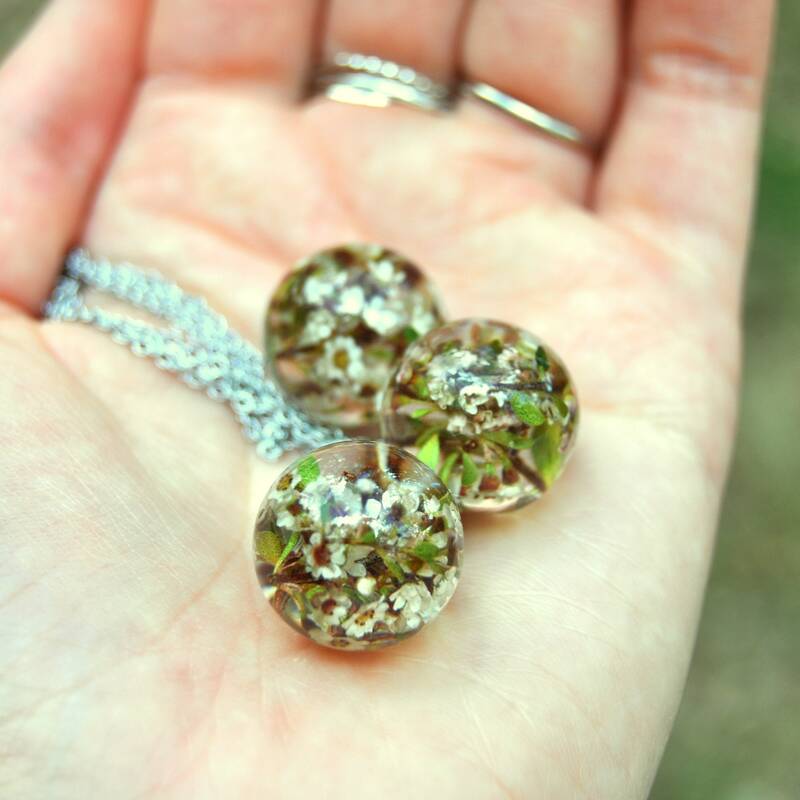 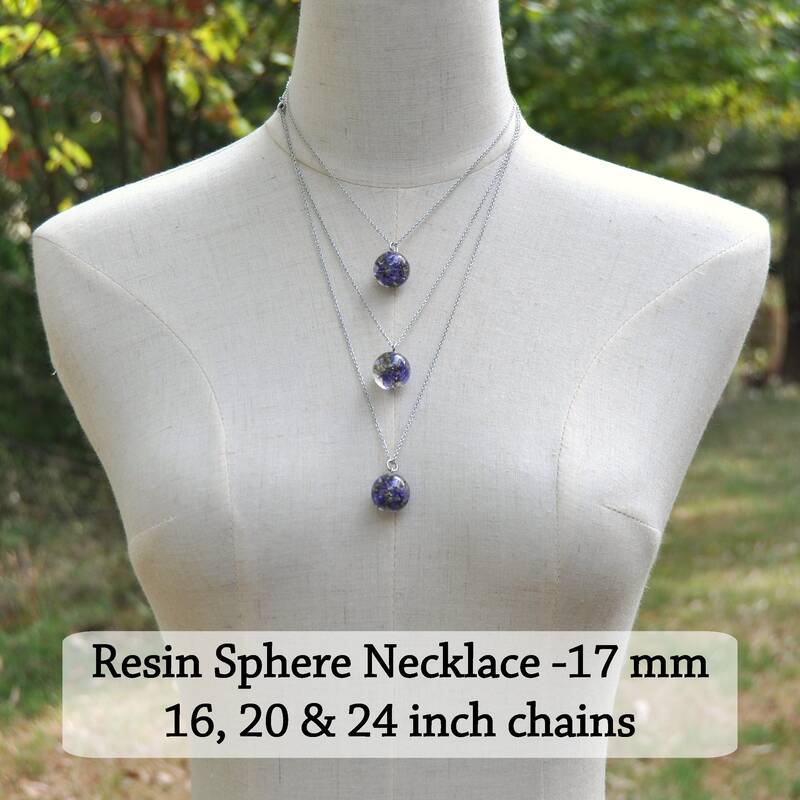 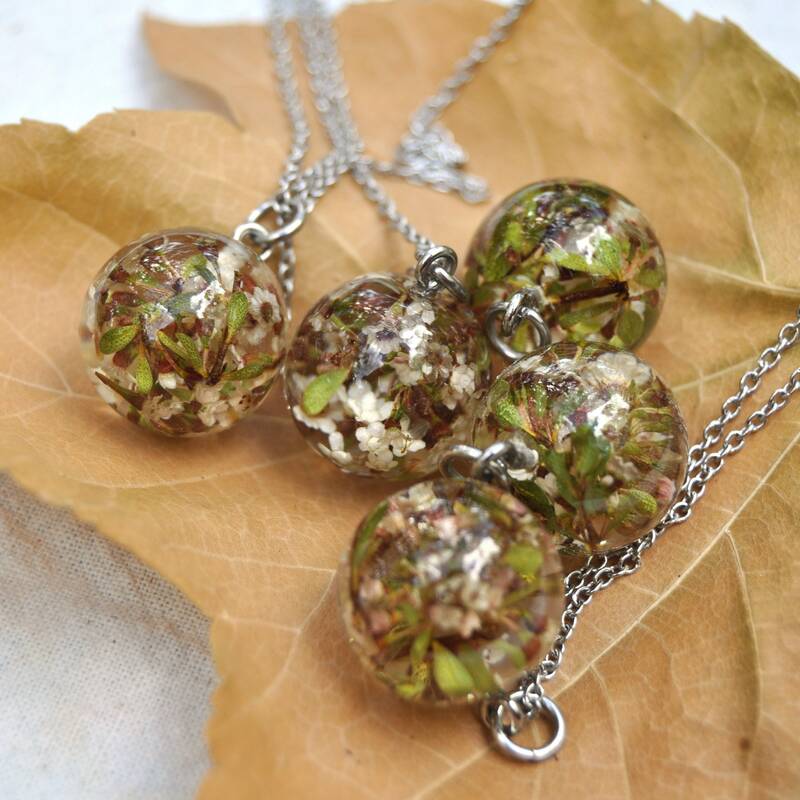 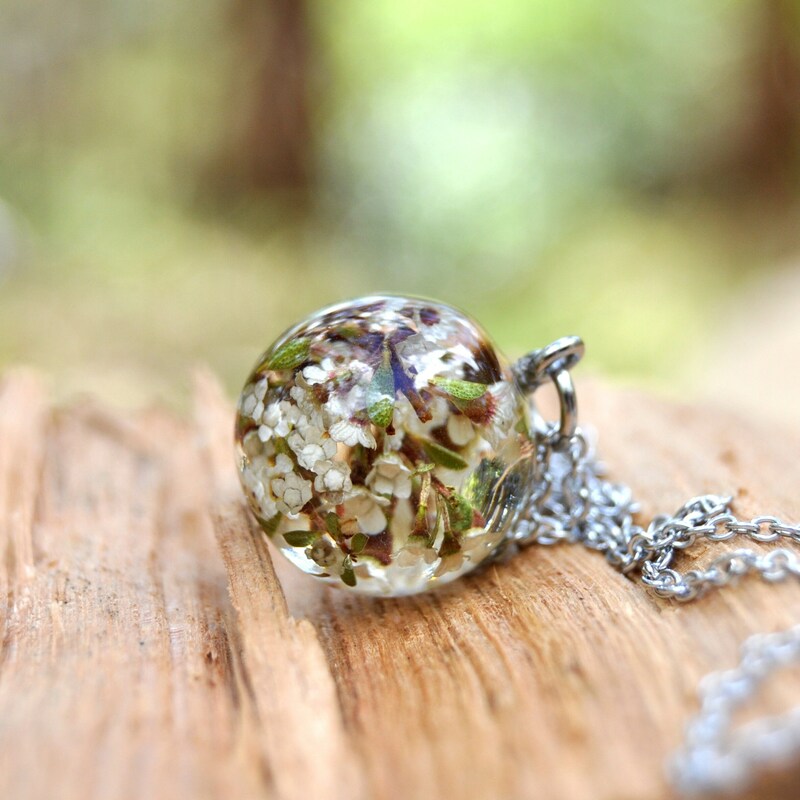 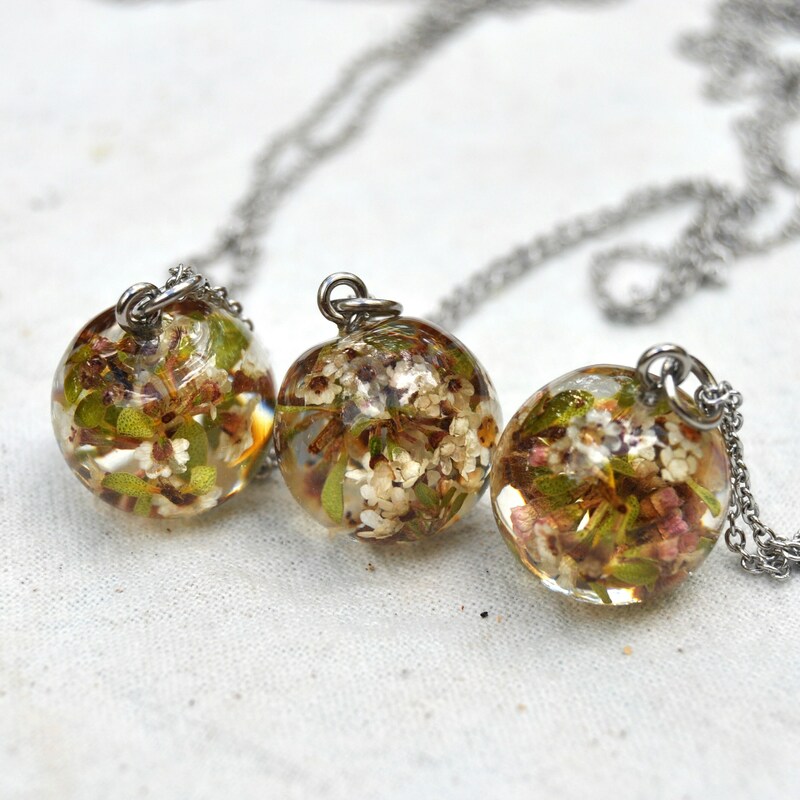 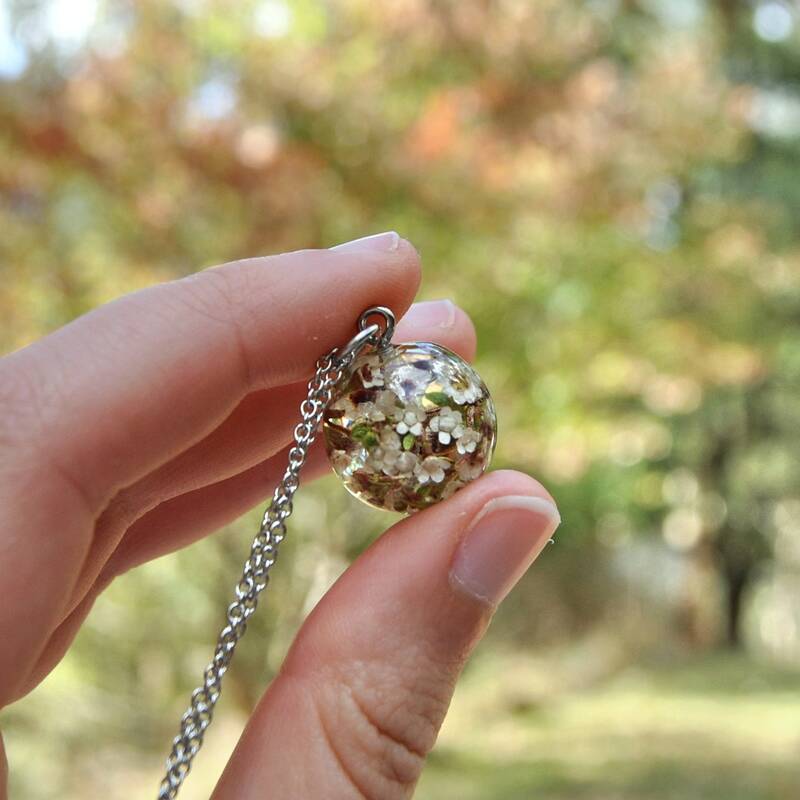 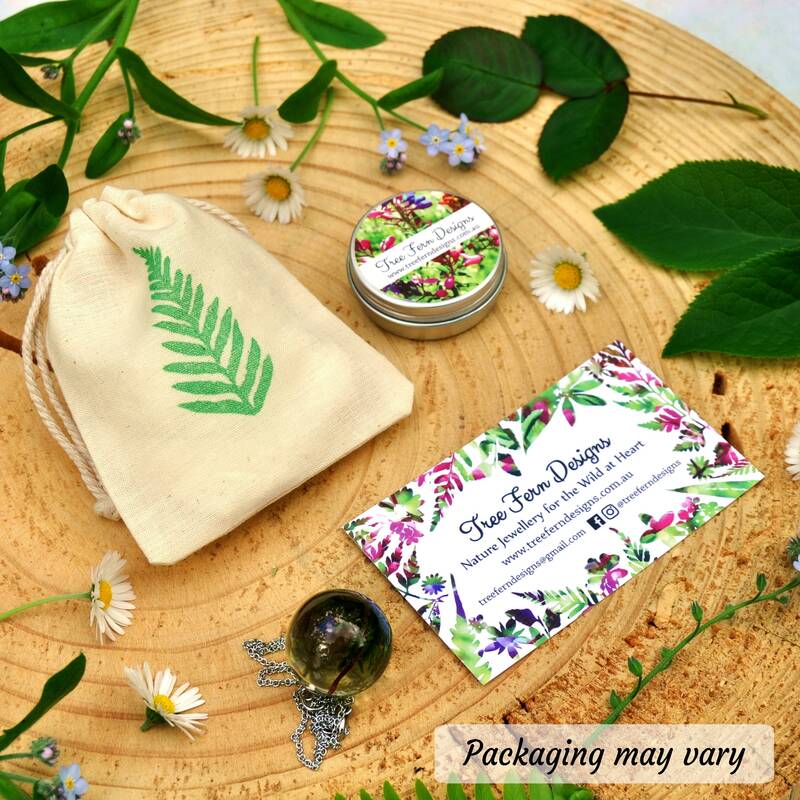 A resin semi-sphere pendant necklace, made with tiny white flowers and their green leaves, which have been set in a glossy sphere of clear Eco Resin. 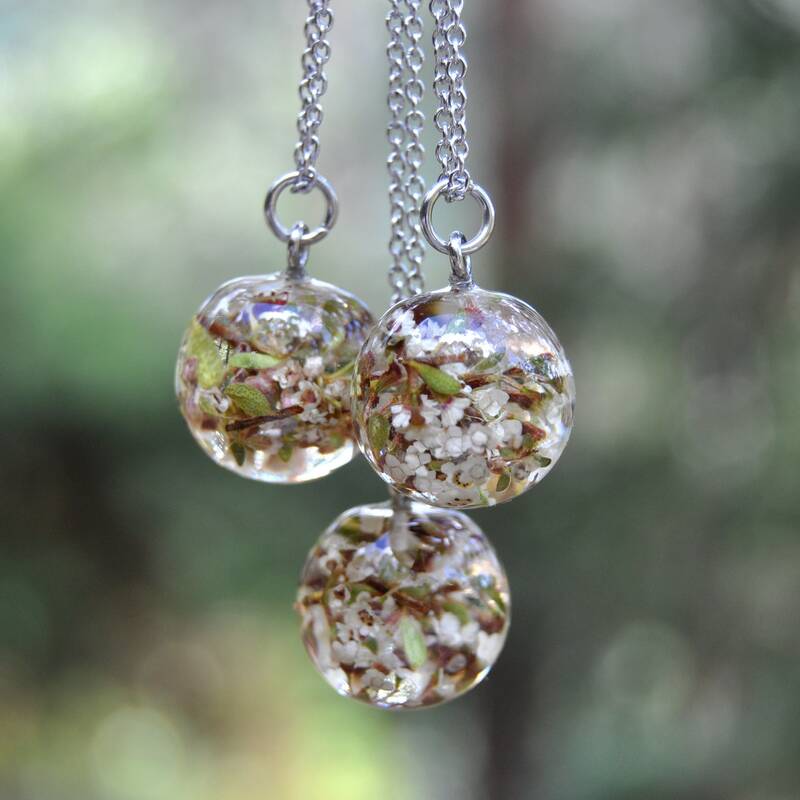 ♥ Plant: Thryptomene, native to Australia. 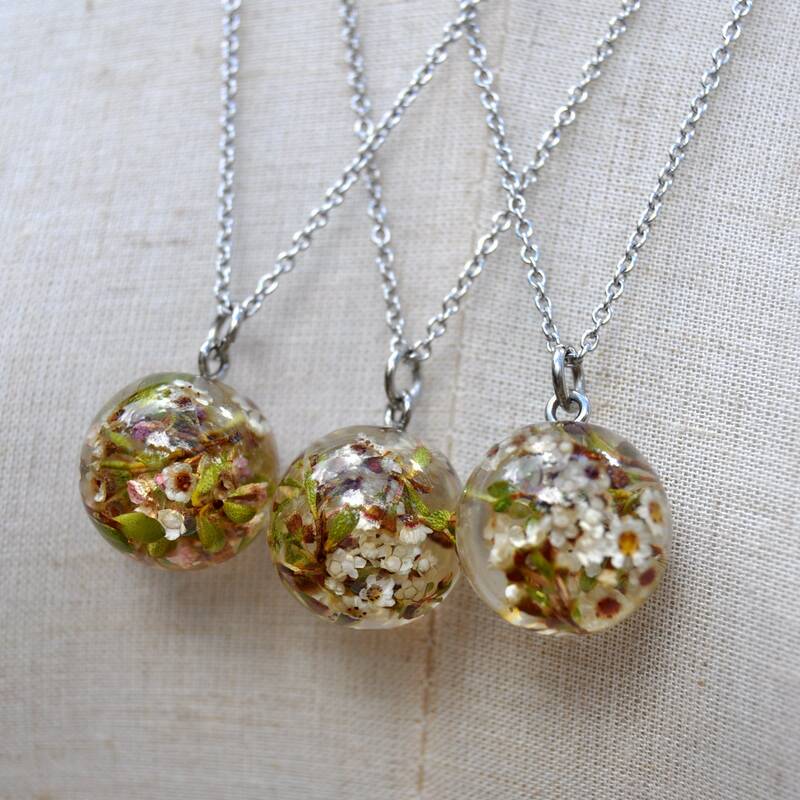 The flowers are tiny and white with pink to yellow centres.